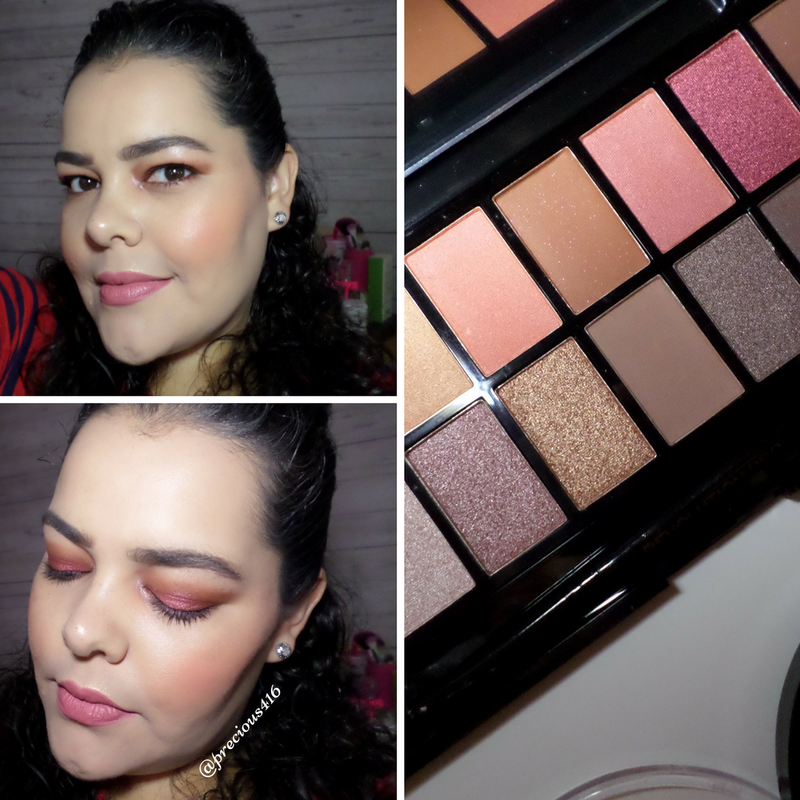 The Makeup Revolution New-Trals vs Neutrals Palette is an eye shadow palette that features 16 matte and satin finish shades housed in a sleek black matte finish mirrored case. I purchased the MUR New-Trals vs Neutrals palette because I saw some amazing swatches on the MUR USA Instagram page. Plus because New-Trals vs Neutrals palette has similar shades to the Anastasia Beverly Hills Modern Renaissance Palette that I'm dying to get but is sold out, I thought I'd buy it to create similar looks. I love the packaging because it has a nice matte finish and a sleek more expensive look to it. Inside you get a mirror, and a Makeup Revolution 1989 Pro dual ended brush that I think is so much better than a sponge tip applicator that you usually end up losing. You can actually use the brush and if you're like me and have hooded lids you can easily pack on the shadows. Talking about the actual shadows, they are all very beautiful. I like the mix of peach tones, and very neutral shades that you can use everyday. I also like the fact that the palette has a mix of matte and satin finish shades, and the darker shades can also be used as eyeliner. The shadows have a smooth texture, and the shades are pretty pigmented. 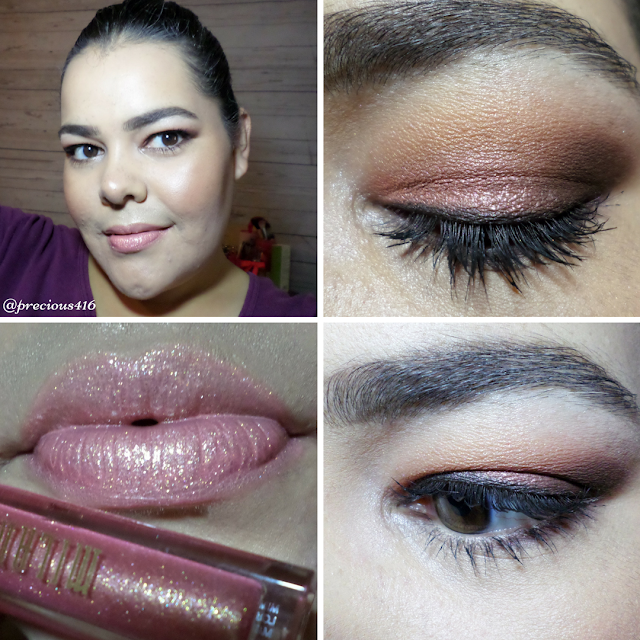 Some of the shades need to be build-up and don't show up as pigmented on your first swatch. I swatched all of the eye shadows with my fingers, but this palette works better with a brush. Also, you really can't get a true feel for the palette if you swatch on your hands since you will find that some shades apply patchy, but applying the shadow on your lids is a different story. The MUR New-Trals vs Neutrals palette shadows apply so much more pigmented on your lids, and blend beautifully as well. Like with many shadows you will experience some fall-out but I find that it's not as bad where you have to remove all of your face makeup. I do recommend applying foundation last that way you don't have to do double work if that makes sense. Plus the satin finish red-pinkish shade above is not what I expected it to be. On the Makeup Revolution USA Instagram page the swatches looked more pigmented, and like a matte red shade that looked similar to the ABH Modern Renaissance Palette. Link here. The swatches are a bit deceiving because when I swatched it, it looks more like I mentioned red-pinkish or salmon. Regardless, I still think that it's a pretty shade. I'm glad I got my hands on the Makeup Revolution New-Trals vs Neutrals palette. 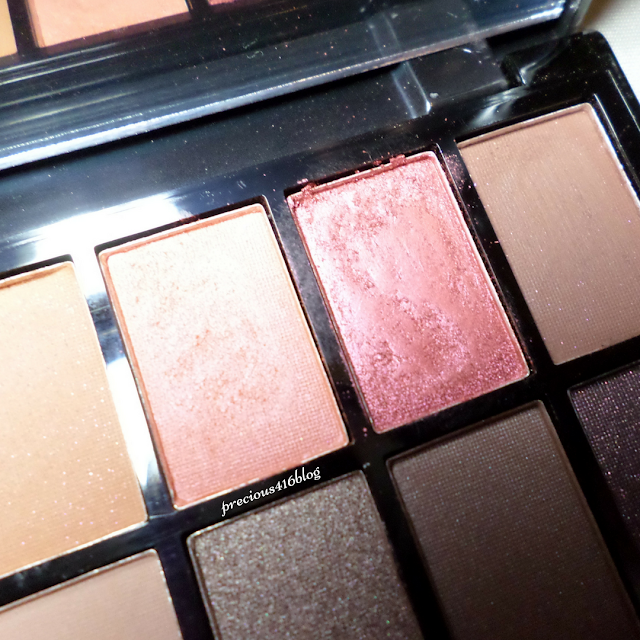 I think the palette is beautiful and perfect to use everyday. 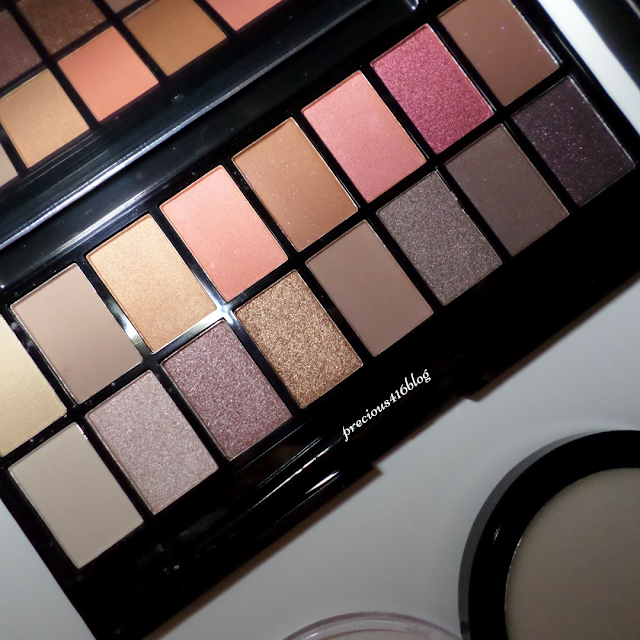 The quality is pretty amazing considering the price and I prefer it to some of my other drugstore palettes. I will definitely add more eye shadows from the Makeup Revolution brand to my collection. 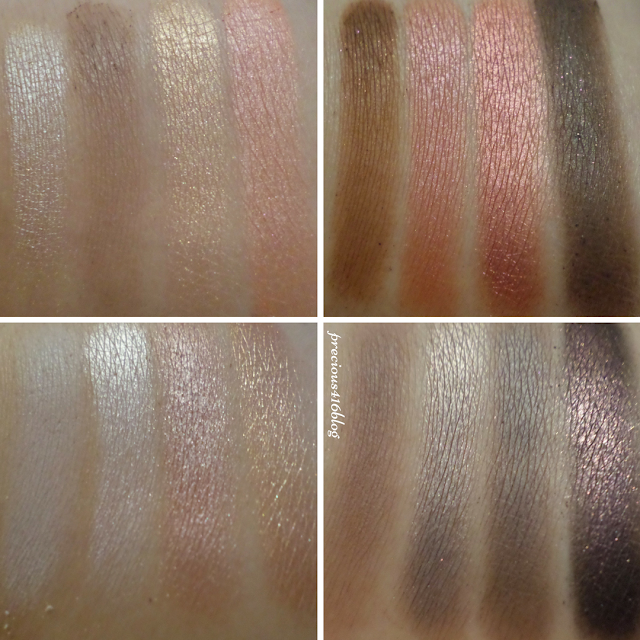 The Makeup Revolution New-Trals vs Neutrals palette retails for $10 and is available for purchase on Ulta dot com, and Ulta stores. 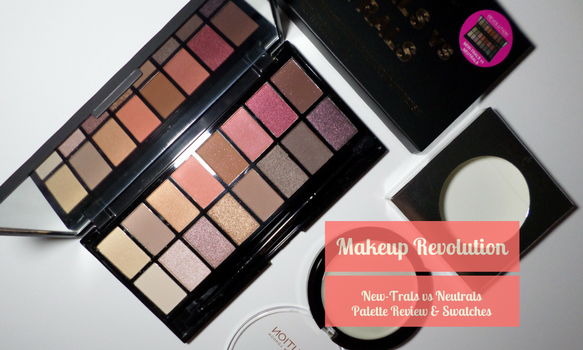 What are your thoughts on the Makeup Revolution New-Trals vs Neutrals palette?